Fake news. Alternative facts. Photoshopped images. Mere days into the new administration, lying in public---albeit imperfectly---appears to be all the rage in Washington. And while we would argue that Perfect Liars Club did it first and continues to do it better, our February show revealed that the city’s reinvigorated fascination with truth and its detractors is going to be a boon for business! 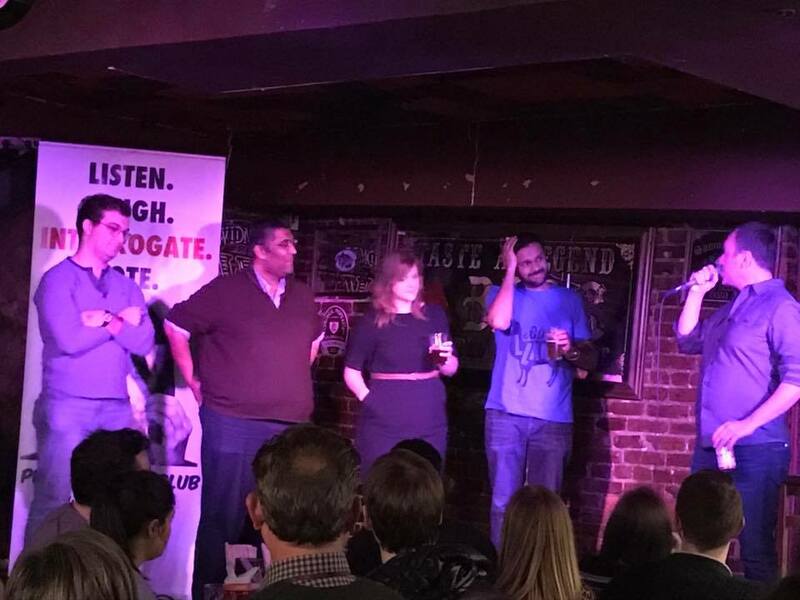 A sold-out crowd of eager patrons packed themselves into the warm embrace of Dupont Circle’s Bier Baron Tavern, desperately seeking a distraction from the latest headlines and yearning to share in some much needed communal laughter. February’s Perfect Liars Club did not disappoint. Aided by a new sound system that sonorously filled the performance space, a captivating cast of storytellers treated the overflow crowd to an evening of stories as delightfully diverse as the cast members themselves. Did Nupe enter a hot pepper-eating contest at his high school in a fleeting attempt to improve his social status? Did Sarah become a self-appointed sexual advocate for residents at an assisted-living facility in Tucson, Arizona? Did Rahul find himself embroiled in a corruption and bribery scandal when he tried to rightfully claim a family inheritance in India? Did Robin’s interview with a prominent DC political operative include a stressful game of word association? Why couldn’t Nupe remember the name of the dining hall where the hot pepper challenge took place? How did Sarah’s Great Aunt Rudy broach the subject of her “coital status” and her desire to find one last lover? Where did Rahul work and how much vacation time had he accrued to allow for multiple excursions to India to resolve the probate impasse? In light of his limited work experience, how did Robin secure an interview with such a high-profile political luminary? As the interrogation was brought to a close, the audience’s collective sigh revealed that many an unanswered question remained. And yet, despite the grumblings, eager hands raised to cast the final votes. Of the four storytellers, Sarah and Robin were deemed the most suspicious, with the former besting the latter by 11 votes. Had the audience sleuthed successfully? Did it spot the liar for the second show in a row? 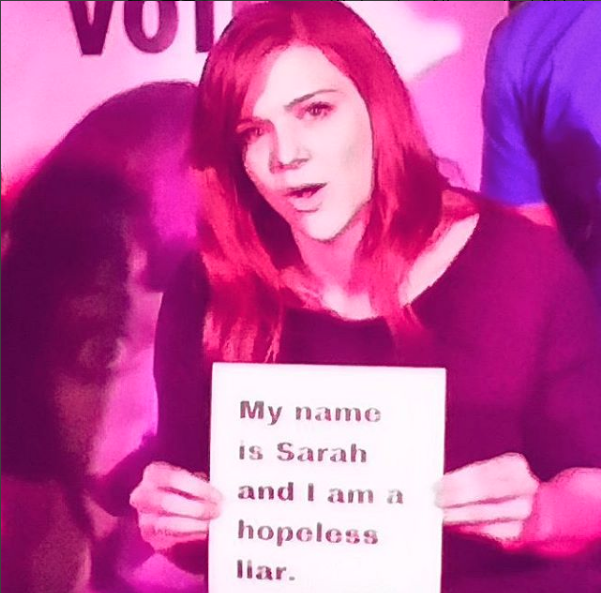 As the sound of the tabletop drumroll reached its climax, a smirking Sarah stepped forward to an eruption of cheers, confirming what 43 audience members had already suspected---her tale of sexual advocacy at a retirement home was completely fabricated with fake news AND alternative facts. Thankfully, there were no supporting Photoshopped images for the audience to review.